Are you excited about your project? If you dread it, there’s every tendency that you’re still doing it manually or don’t know how to leverage the right software to its fullest potential. Gone are the days when project management software was seen as only a web developer’s toolkit. Today, it’s rapidly gaining wide adoption from web marketers globally. Are you still using old-school spreadsheets? Of course, spreadsheets have their specific uses, but they don't scale very well as your team and projects grow. If you neglect project management software, you’ll encounter bottlenecks in your project—reasons to question the very essence of what you’re doing. You get furious, “didn’t you receive my email? I sent an email to you a few days ago.” Now, Tracy checks her email but couldn’t find anything or found it in her spam folder. How sad. This can slow your progress. 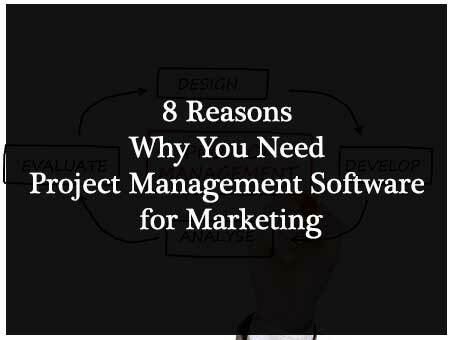 However, project management software for marketing could be what you need to help you streamline your marketing and achieve significant results quickly. One of the most important reasons why you need a project management tool is to stay organized. With the right project tool, you can see, control, and monitor the progress of your marketing team's effort. Read More : Database Marketing and CRM: Can One Survive Without the Other? 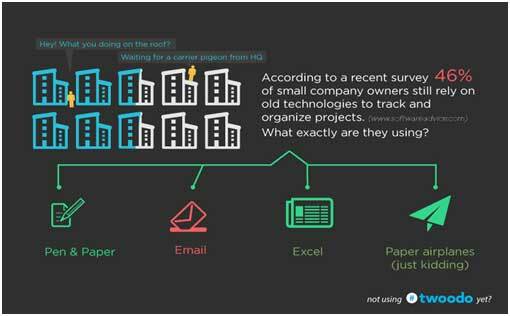 A recent survey by Software Advice shows that 46% of small business owners still use old technologies to track and organize projects. Sure, you can still use these tools; however, it’ll cost you more money and will most likely reduce your efficiency as you’ll spend more time trying to accomplish some projects with them. Unlike tools like spreadsheets, you can assign a specific task to each team member—and have access to tools, files, and calendars exactly when you need them effortlessly. Do you use a third party tool like Slack, Asana, Ignitur, or any other premium project management software to aid your marketing team’s communication? Or do you prefer to communicate directly through email? Yes, email communication works; after all, the majority of these software tools will send a notification to your email when a team member or client updates a particular task or campaign. The only downside with direct email communication is that it can be frustrating at times, and doesn’t encourage a seamless flow of information between two or more team members—which is exactly what you want to achieve. 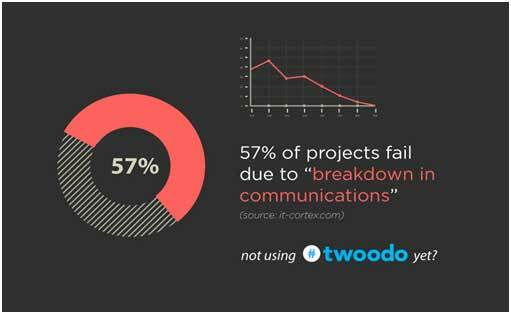 According to IT Cortex, 57%of projects fail due to poor communication. Poor communication between you, your clients, and your team, can pose a serious threat to your project's success. A smooth communication is not optional—but rather, it should be an integral part of your company. And the best part is that you can also communicate with your clients and reduce the number of iterations on specific tags as they can provide important information you might need at that time, which was not provided initially. On one hand, a project management tool makes it possible for your clients to check the progress of their projects. On the other hand, you get to give clients complete access to your marketing team. In turn, this can help you build a stronger relationship and trust between with your clients. You can encourage your clients to get involved in the process if they so desire. This would eliminate worry from your clients about their projects—as they can see the progress and know you’re working. A robust project management software portal allows you to upload a file once and every member of your team will have access to it from wherever they are in the world, even without downloading it—they can use it. In fact, when you want to update the file, any member of your team can do that depending on the access level they have. Team collaboration is an interesting feature in project management software, which makes it stand for web marketers. 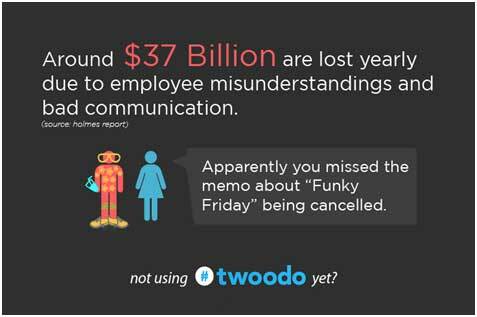 A report by Holmes shows that over $37 Billion are lost yearly because of employee misunderstandings and bad communication. Collaboration is one of the main features that makes project management software worth the investment, as it allows other features to work seamlessly and allows team members and clients to communicate effortlessly. It's true, unexpected situations do arise in the middle of a project. However, with the right project software, you can change project schedules and calendars. The best part is: clients can easily see the effect on the new scheduling based on any new decision or strategy that was introduced to help accomplish the project in the best way possible. So, you’re not tied to any rigid system. Do you run a small agency and are afraid that when you’re agency grows you might face the challenge of scaling? Well, you don’t have to worry. The truth of the matter is, a few software which I’ve used to manage my projects and that of clients, including those I’ve not personally used but have read testimonials have all it takes to help you scale. Accountability is very important in ensuring the success of every project. If every team member knows exactly the task they’re meant to accomplish and are focused on doing just that, it’ll help them to be more productive and eliminate confusion. When something goes wrong, don’t blame anyone. Trace the problem, and know who’s responsible for it. Then, fix it. In conclusion, use your project management software as a means to an end. Don’t rely on it to make decisions for you—you’re still in control—so, mine data with it and integrate it into your overall marketing strategy. Don`t forget to subscribe eAskme newsletter or like us on facebook to stay tuned with us.